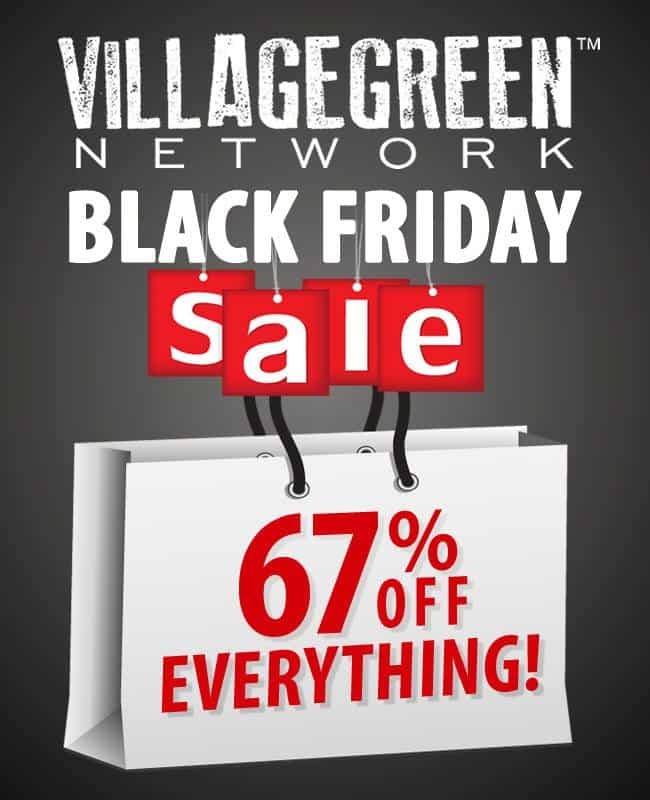 My network, Village Green Network, is hosting a HUGE Black Friday sale for you!!!! Everything below is on sale for 67% off including my dessert cookbook!!! Village Green Network has set a goal to raise $50,000 for Charity Water by December 31, 2013. Help us get clean water to families in Cambodia. Just $65 is enough money to fund a BioSand Filter and serve an entire family with clean water for years to come. Americans’ right to access fresh, healthy foods of their choice is under attack. Farmageddon tells the story of small family farms that were providing safe, healthy foods to their communities and were forced to stop, sometimes through violent actions by government agents. Use Coupon Code BLACKFRIDAY13 on the items below to receive 67% off! Indulge is your go-to resource for grain free desserts. It’s a must have in every paleo kitchen. Start baking delicious and easy to make grain free cookies, bars, cakes and cupcakes for you and your family today. A cluttered home affects your health, wastes your money, takes up your valuable time, and is keeping you from living the life you want to live! Learn the secrets to organizing your home in just fifteen minutes a day. The Clutter Trap will teach you how to rid your home of clutter for good! Many of the ingredients found in commercial cleaning and personal care products have been linked to health problems. From infertility to cancer, the toxic chemicals that threaten our health are some of the most common things we put directly on our skin! Are you ready to ditch the toxic garbage for good? Everyday millions of people suffer from chronic pain caused by accident, injury, disease, and bad habits… often without any evidence of bodily damage. But you don’t have to suffer! Pain Freeoffers 60 Somatic-based exercises and practical advice to help you regain your mobility, confidence, posture, and live without pain for good. In a world saturated with savvy marketing tactics designed to keep up consuming fake food counterfeits, is it any wonder that we are confused about what to eat? Processed Free is the practical and stress-free guide to healthy eating. Learn the secrets of the food industry that are destroying your health and how you can get real food to your table for good. Do you have trouble coming up with meal ideas that are gluten-free, soy-free AND vegetarian? Do you want to lower your grocery bill by cutting out meat once or twice a week and still eat healthy filling meals? Gluten-Free Vegetarian features over 120 pages of gluten-free, soy-free, meatless real food recipes along with tutorials and guides to help you make real food from scratch so you can save money and be healthy! You’ll also get BONUS ebooklet Grain-Free Vegan Desserts with purchase! Are you new to real food and not sure how you can possibly take on ‘from scratch’ cooking? Do you want to make real food FAST? Do you want to know how to travel with real food and make smart choices while eating out? The Real Food Survival Guide for Busy Moms takes the stress out of eating real food, saving you time and money, and includes tons of real food recipes to get you started. Do you want to learn to cook real food? Do you want to feel confident in your own kitchen? Do you want to be inspired to experiment with new flavors? The Homemade Mommy Handbook is complete real food 101 guide for cooking tips and techniques including braising, roasting, sauteing, grilling, herbs and spice usage and storage, fermentation, and 60+ real food recipes. Did you know many gluten-free packaged foods are loaded with artificial ingredients and preservatives? Do you want to make simple, no-fuss meals for your family that are gluten free and healthy? Gluten Free, Real Food Recipes for Kids will help to guide you through the gluten-free hype to discover foods your family really needs to eat – and foods to avoid. 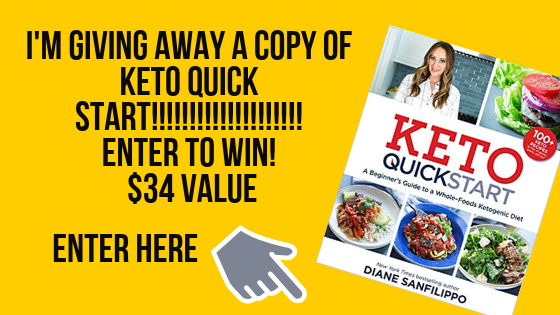 With more than 130 pages of recipes and tips – including how to avoid heavily refined and processed foods, real food nutrition tips, how to encourage kids to become healthy eaters and much more! Plus, you’ll find 70+ delicious, kid-tested recipes the whole family will love – including appetizers and snacks, dressings and condiments, beverages, main dishes and desserts, without gluten, artificial ingredients and preservatives. Chronic heartburn? GERD? The 30-Day Heartburn Solution will show you why acid reflux is NOT caused by too much acid, why acid blockers like Prilosec and Nexium stop the symptoms of heartburn but not the cause and how they can lead to long term health problems. You’ll also learn how you can prevent heartburn and stop the need for acid blockers with simple dietary changes. Dozens of heartburn-busting recipes included! Tired of spinning your wheels trying to get healthy? Forget the extreme approach and try the balanced approach to nourishing your body instead. Learn why you should stop dieting TODAY, how to balance nutrients and energy for the optimal metabolism, a balanced eating plan that doesn’t restrict food groups, myths about sugar, salt and water — and much more! Love Your Body tackles the negative thought patterns that cause you to feel anxious, discouraged and downright miserable about your appearance. Learn how to banish negative body thoughts, overcome thought patterns that cause body hate, form positive standards for beauty that empower you, and free yourself from the body hate that holds you back from reaching your dreams! You don’t have to skip the pasta, tortillas, pizza, and bread. If you’re gluten-free and grain-free, you don’t have to compromise on the flavor and taste! In this cookbook, you’ll learn all the tips and tricks to creating delicious gluten-free and grain-free recipes that the whole family will enjoy! Would you like to save hundreds of dollars on your water, gas and electricity bills? Want to power your home or business with solar for less than the cost of your current utility bill? Would you like to buy all your organic produce and pasture-raised meat, dairy and eggs at wholesale cost or better? Sustainability Starts at Home will show you how to do all of this, plus give you hundreds more inspiring tips that will save you thousands of dollars a year—simply by making adjustments to how you maintain your home and make your day-to-day purchases. This book pays for itself (and then some) with the first tip you implement! You’re ditching the chemical-laden bath products. You’re buying organic produce. You’re reading the labels of everything that comes into your house. But what about the barnyard? Learn how to make everything from homemade chicken feed, to DIY bug sprays, to natural dewormers, to herbal salves and more in Natural Homestead! This 21-day guide will walk you through the process of realizing your homesteading dreams, no matter where you may live! Learn how to make your own homesteading binder, set goals, and plan for your homesteading future–even if you live in the city. Did you know that 99% of food allergies can be reversed? It’s possible! I know it is because I reversed mine. In this 12-part online video cooking class, I teach you how to get started on a path to recovery. Did you know that 99% of food allergies can be reversed? It’s true! If you are suffering from the symptoms of food allergies, I want you to know there is hope. It worked for me, and that’s why I wrote my new e-book, The Reversing Food Allergies Cookbook. Over 350 recipes — from stocks and staples to the main meals of the day, candies, beverages, appetizers, desserts and more! As much as we love to cook and provide nutritious meals for our family, sweating over a hot stove all afternoon takes a lot of time. The good news is, you CAN prepare nutrient-dense meals from scratch for your family — in a fraction of the time. You just need to learn the tricks. In this online video cooking class, you’ll get up close and personal with your favorite bloggers in their home kitchens as they reveal their secrets for saving time in the kitchen. You take the time to make your own natural beauty and home care products because you care about the health and safety of your family. Show your friends and extended family how much you care by beautifully bottling, boxing and wrapping your precious products for gifting. ‘Beautify Your DIY – A Guide To Gorgeous Natural Gifts’ is full of photos, ideas and inspiration for gift giving. The Real Food. Real Good. eCookbook is a 45-page, full color collection of really good real food recipes…nothing artificial or heavily processed included. I’ve compiled twenty select grain-, legume-, dairy- and refined-sugar free recipes, each following a Paleo template. If you’re gluten-free or you #JERF (Just Eat Real Food), you’re in the right spot, too. The ingredients are diverse. The methods are a cinch. The food is nutrient-dense. The flavors are monstrous. You win! Real Fit at Every Age gives you practical advice for types of exercise to use for desired results, no matter what your age, condition or health concerns are. Includes full-color photograph instructions on how to do many of the exercises discussed within the book. A must-read for anyone who has a body. The Sleep Solution is a guide to sleep health based on the science of how your body’s many biological processes work together to regulate sleep, and how you can improve them. Do you wonder why you get a sudden burst of energy late at night, just when you need to be heading to bed? Or why you can’t shut off your mind while trying to fall asleep—or why you wake up again in the middle of the night feeling anxious and restless? Learn the solutions to your sleep problems, so you can finally get the healthy rest your body needs.